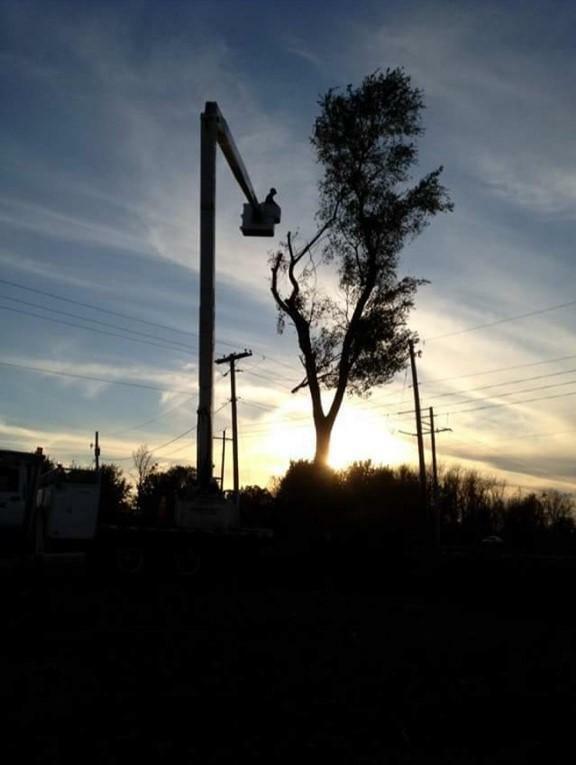 Sam Surratt is certified by the International Society of Arborists, Certificate Number IL 5161A. Sam was born and raised in Beardstown where he still lives with his wife Tara and daughters Sage and Samantha. 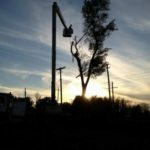 Sam’s work as a lineman for Rural Illinois Electric has afforded himthe experience of aiding in disaster recovery – in the post-Katrina Gulf Coast region and as far away as The Dominican Republic. Over the years, Sam has gained valuable experience in all things mechanical, from small engine repair, to auto and marine engine repair, to welding and heavy machinery and equipment operating. Surratt Services have a variety of equipment to handle all of your needs. They own and operate all manner of equipment from Bobcats, to skidloaders, bulldozers, augers, excavators, trailers, etc. 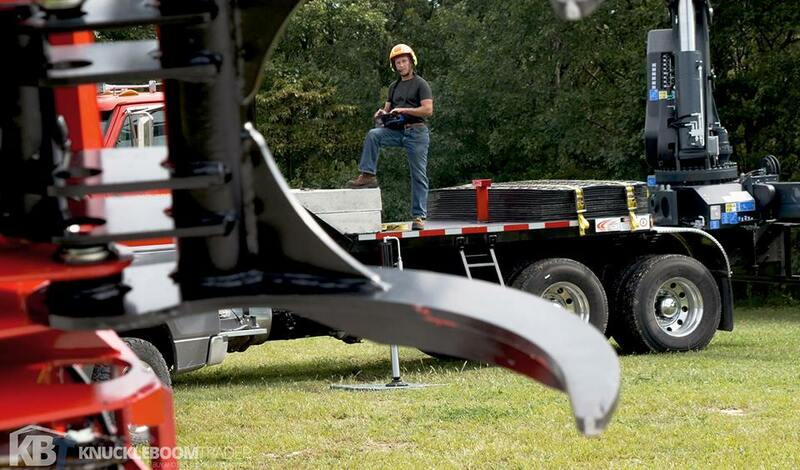 As such, they can help you with hauling: from heavy equipment to vehicles, or horses! 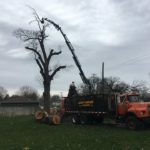 With their assortment of cranes, bucket trucks, man-lifts, cherry pickers, industrial augers and other equipment, they can help you with pole setting, truss setting and all manners of over-head work. 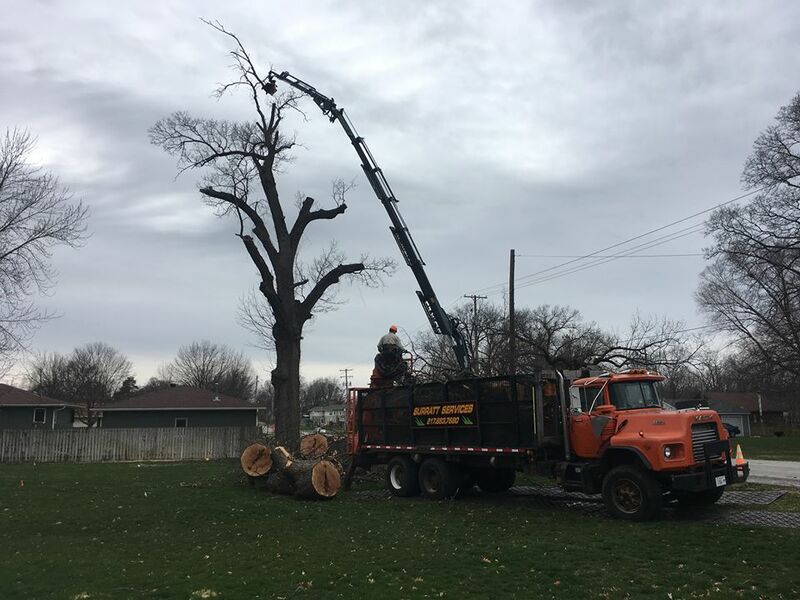 In addition to remote tree removal, we can do traditional tree work via bucket truck, man-lift and sophisticated rope rigging. They also have state of the art stump grinding and removal capabilities.